In Brief: Ancient towns and forts, local culture, and the 300-year old local tradition that sees molten iron being flung against the city walls in lieu of a fireworks display! Showers of sparks during a performance of 'dashuhua'. 2–4 hours walking about each day. Chinese New Year is the best time of year to visit Yu County. Book in early, this trip will be popular! On this two-day trip to Yu County in Hebei Province you’ll walk the streets of well-preserved Yuxian Ancient City, visiting the pavilions and pagodas, as well as visiting Jimingyi, the remnants of a Ming Dynasty postal relay center. 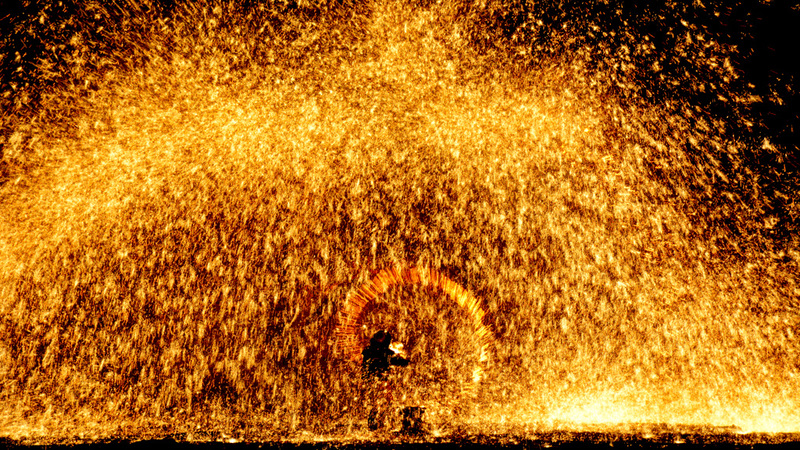 And, on the first evening, we’ll take in a performance that includes Da Shu Hua, a 300-year old local tradition that translates as ‘Beating Trees into Flowers’ and results in molten iron being flung against the city walls in lieu of a fireworks display! During Chinese New Year Beijing empties out as people return to their hometowns to celebrate Spring Festival with their families. 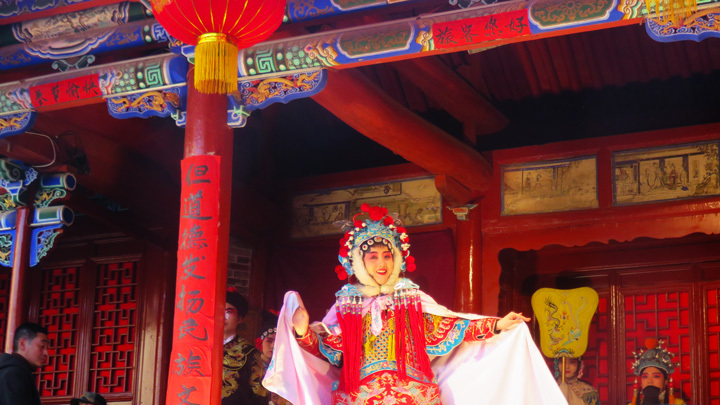 With everyone home in Yu County for the holiday it’s sure to be lively, and there will also be extra special shows and performances in the streets of the old towns we visit. We did some extra scouting for this trip and found a nice and easy two-hour countryside walk to do on the last day, a good way to see what it's like in really rural China. Note: we’ll be outside quite a bit, and the weather is sure to be freezing. Bring all the warm clothes you’ve got, and then bring a few extra layers just in case! 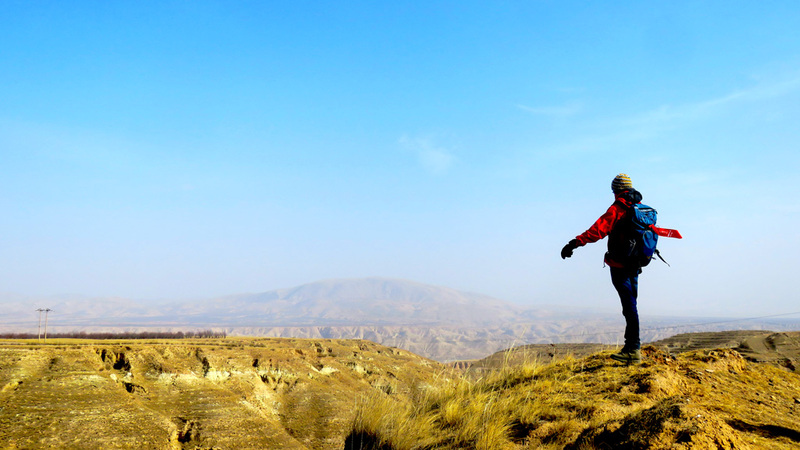 Yu County is part of the larger Zhangjiakou prefecture-level city in Hebei Province. 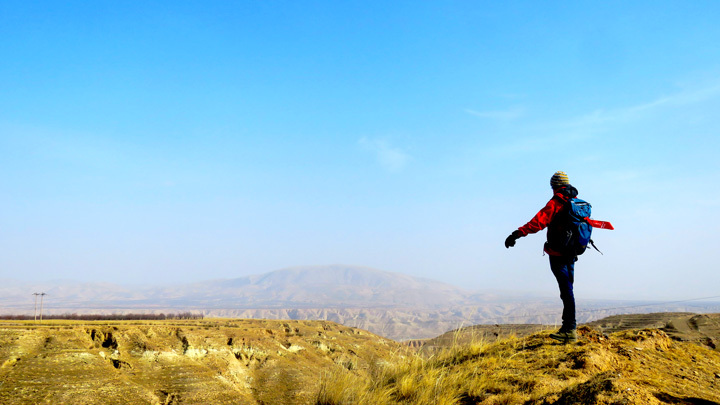 Zhangjiakou is right on the main route to Beijing from the northwest, and has been the site of fortifications and wars since ancient times – notably, the Badger’s Mount Campaign in which Genghis Khan won a huge battle against the Jin Dynasty in 1211. 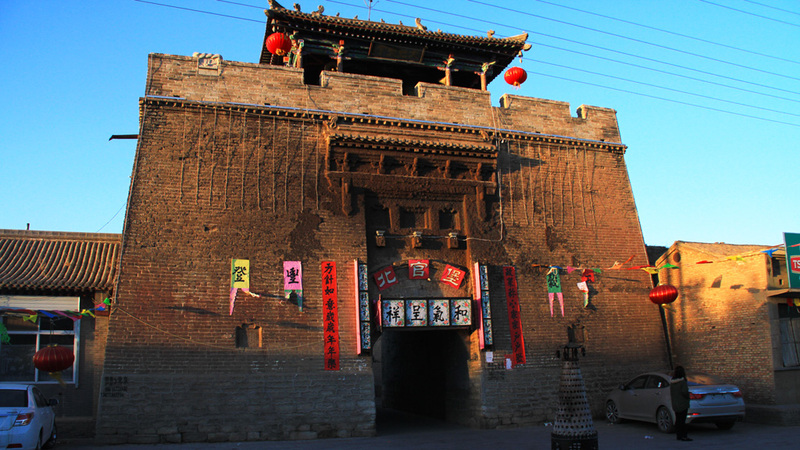 Zhangjiakou used to be known as Kalgan, which is a transliteration of its name in Mongolian: The Gate. 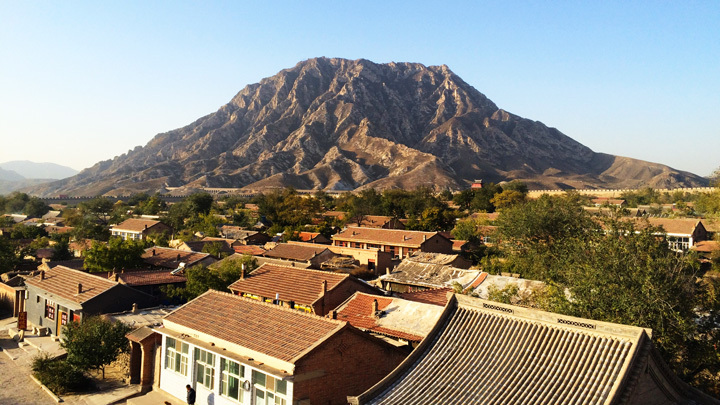 There’s been a town at Yuxian since the Southern and Northen Dynasties period (420-589), with the area at the time being under the control of the Northern Zhou Dynasty (587-581). The ancient city was rebuilt in 1377, during the Ming Dynasty, and a lot of that construction remains and is well-preserved—some say it’s the closest best-preserved ancient city to Beijing. The key sights in the Yuxian Ancient City are the Jade Emperor Pavilion, the Nan’an Pagoda (Liao Dynasty, 907-1125), and the Buddha temple. 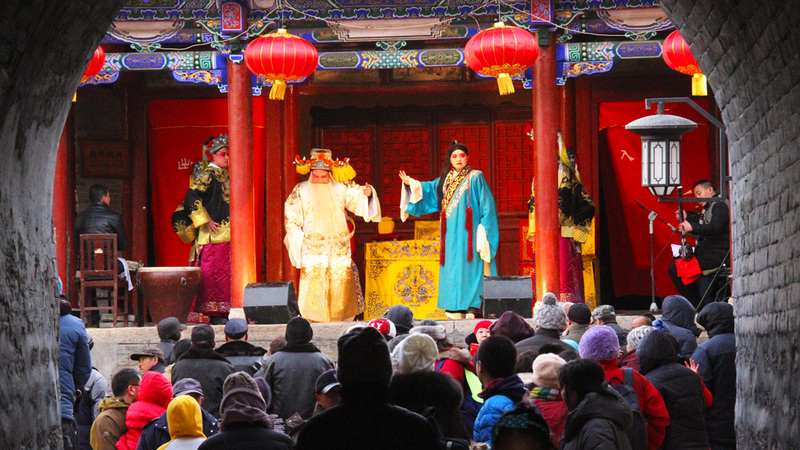 But perhaps the best part of Yuxian, during the Chinese New Year festival, is how lively it gets, with the streets packed with people and performances all over. As well as the castle, Nuanquan is famous for a tradition of papercutting – on our scouting trip, we picked up some really good ones! 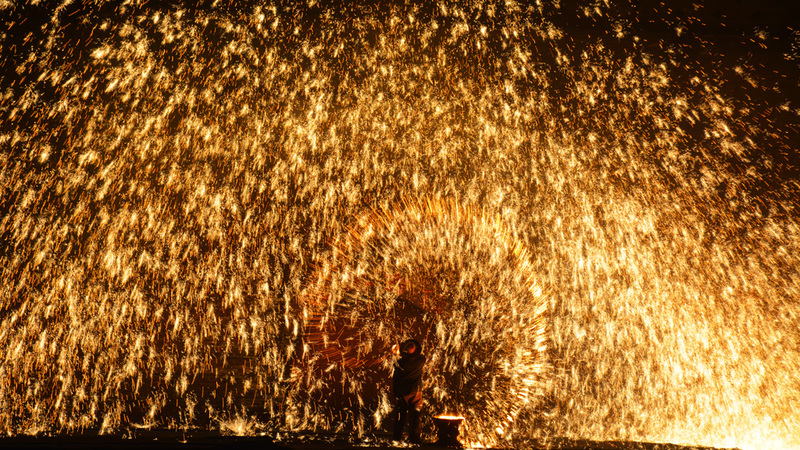 Throwing ladles-full of molten iron against tall brick walls creates a splash of colour that looks like the sparkle of fireworks, and has been a local tradition in Nuanquan Town for over 300 years, a tradition that’s said to have come about because of the many blacksmiths of the town. These days, it’s done part of a performance that includes a song and dance routine that illustrates a local legend that culminates with swords being melted down to revive a maiden who’d given her life in order to make the swords better, on the advice of a magician. Whether there are magicians about or not, it’s still a spectacular sight, and the performance is likely to be attended by quite a crowd. For obvious reasons, it’s an outdoor show, and at night, so we’ll need to wrap up warmly so we don’t freeze before all the action. 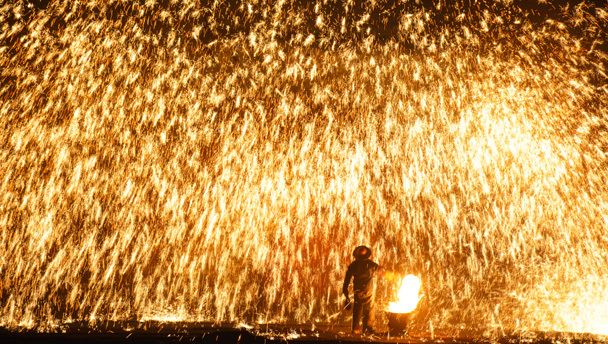 The performance lasts for approximately an hour, and the splashing about of the molten iron should take up 15 minutes of that hour. On the last day of the trip we'll do a short and easy hike in the countryside, walking through the hills around a village and taking a look at tiny White Horse Temple—an excellent way to get a look at real life in China's countryside. Jimingyi Ancient Town was a fortified postal relay or staging station, built and used during the Ming Dynasty. The extremely tall and thick walls have a total length of just under two kilometers, and were constructed in the same manner as some of the Great Wall: rammed earth in the middle, with an outer layer of bricks. In the past, this must have been a very important place: as well as the huge walls, other fortifications include large gates topped by towers, towers on each corner of the main walls, and more outside. Inside the walls, there are five main streets that divided the city into planned and orderly sections - administration in the middle, stables and barns at the north, and other areas for accommodation. We’ll stay a night in a 4-star hotel. Each room at the hotel has a private shower and bathroom, and towels and bedding are provided. You’ll be sharing a room with another hiker. If you'd like a room to yourself, it can be arranged at an extra cost of 185 RMB, if a room is available—usually not a problem! Main meals and drinks, plus water to take along during the walks, are included in the price of the hike. We'll be eating Chinese food at restaurants in the towns. Breakfast on the second day is at the hotel. Bring some snacks and some spending money to buy extras. Please let us know if you have any special dietary requirements or food allergies. Lots of warm clothes: hat, thick gloves and socks, scarf, thermal layers, and thick outer layers. Snacks to eat between meals. Anything you can’t do without (personal medication, chocolate). It's not a hiking trip – mostly sightseeing and a lot of walking around with just a wee bit of hiking. It's likely to be very cold out there while we're walking about! 08:00 – Bus leaves from Liangmaqiao pickup point. 08:30 – Bus departs from Lido Hotel Starbucks. 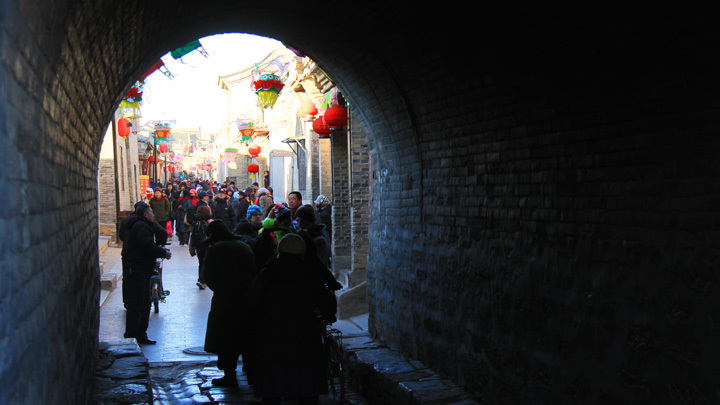 13:45 – Explore the streets, temples, and fortifications of Nuanquan Town. 19:00 – Local folk performance and Dashuhua show. 21:00 – Return to hotel for dinner after the show. 07:00 – Breakfast at the hotel restaurant. 08:00 – Check out of the hotel, get ready for the tour of the old town. 08:20 – Arrive at the north gate of the old town. 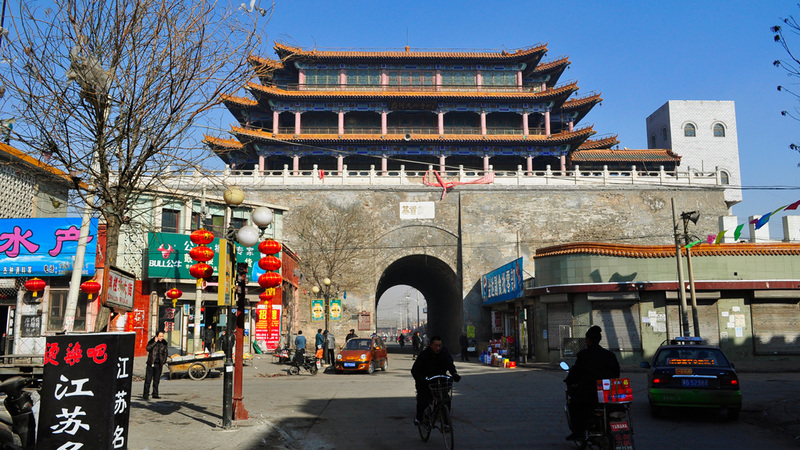 08:30 – Walk to the Chenghuang Temple and the Temple of the City God, and take a look at the city walls. 09:10 – Begin the walk through town from the north gate to the south gate. 10:00 – Visit the ancient pagoda. 10:30 – Walk back to the bus. 10:40 – Drive to Jimingyi. 11:30 – Stop halfway for a short hike, visiting the White Horse Temple and walking through farmland. 13:30 – Finish the hike and drive on to Jimingyi. 14:40 – Arrive at Jimingyi, late lunch at local farmers house. 15:20 – Finish lunch and begin the sightseeing walk around Jimingyi. 17:00 – Walk around to the town walls. 17:30 – Depart from Jimingyi. See 25 photos from our Lantern Festival trip to Yu County, with shots of ancient towns and temples at Nuanquanzhen, special street parades in Yuxian, and the old walled town of Jimingyi. 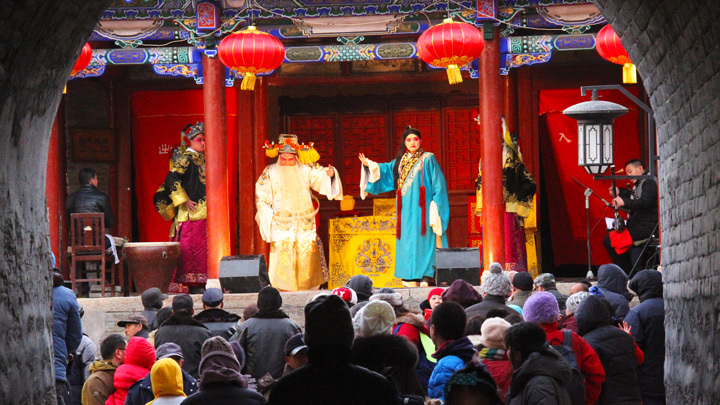 See 23 photos from our two-day Chinese New Year trip to Yu County—see shots from the ancient towns, a hike on the Hebei plains, and a dashuhua performance! 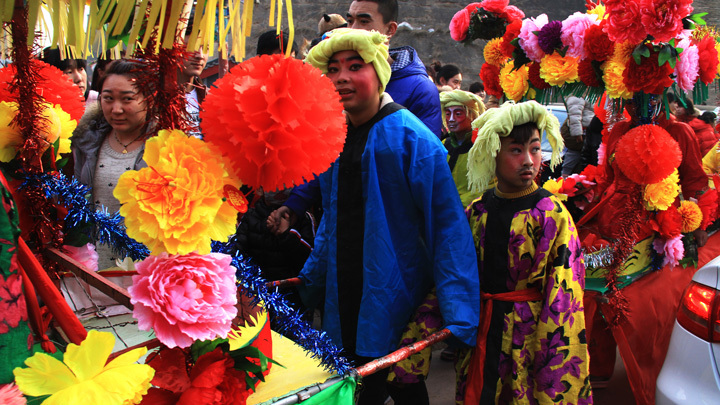 30+ photos from our Chinese New Year visit to Yu County—street performances, dashuhua, old towns and villages. See a set of 30 photos from our February 2017 trip to Yu County—ancient walled towns and villages, traditional parades and performances, and some short hikes in the countryside. 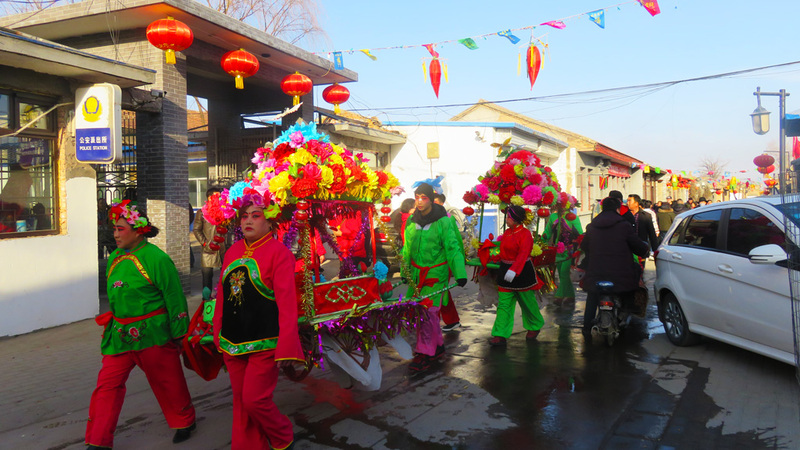 Part Two of our trip report on our 2014 Chinese New Year overnight trips in Yu County, Hebei Province. 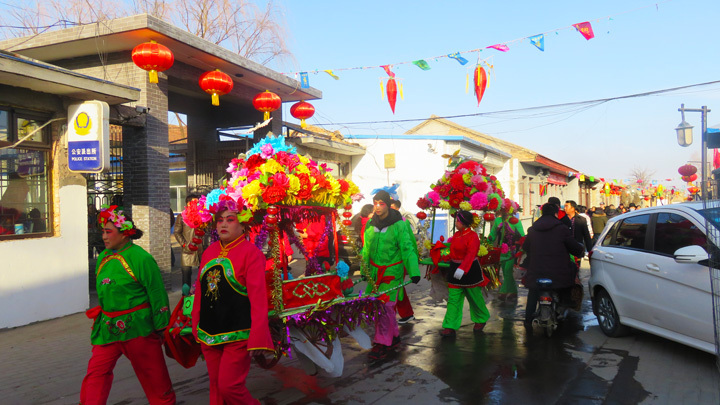 Part One of our trip report on our 2014 Chinese New Year overnight trips in Yu County, Hebei Province. Photos from our 2014 Yu County overnight trip during Chinese New Year. See the sights we saw on two Chinese New Year visits to Yu County, three hours' drive northwest of Beijing City.